Who Are Working Children and adolescents? Child Labour is defined by the International Labour Organization (ILO) as work that deprives children of their childhood, their potential, and their dignity, and that is harmful to physical and mental development. Working children and adolescents are under the age of 18 and found in public spaces carrying out profitable activities or begging, either alone or in the company of adults. In Quito, child and adolescent workers generally work as street vendors (selling vegetables, fruits, or candy), shoe shiners, entertainers, and general laborers. Many children start out by accompanying their mother in the markets, but by age 4 or 5 children become more independent and work alone or in small groups with other children. Why Are There Working Children and adolescents in Ecuador? Certain economic and social factors have made the problem of working children more prevalent in Ecuador since the 1980s, provoked by the debt crisis and urban migration. Many are the children of poor parents from the countryside who have migrated to the cities to look for work and opportunities. In recent years the Ecuadorian government has made eradication of child labour a priority, creating laws and dedicating resources towards that end. Great strides have been made, but the country still has a long way to go. What Problems Do Working Children and Adolescents Face? 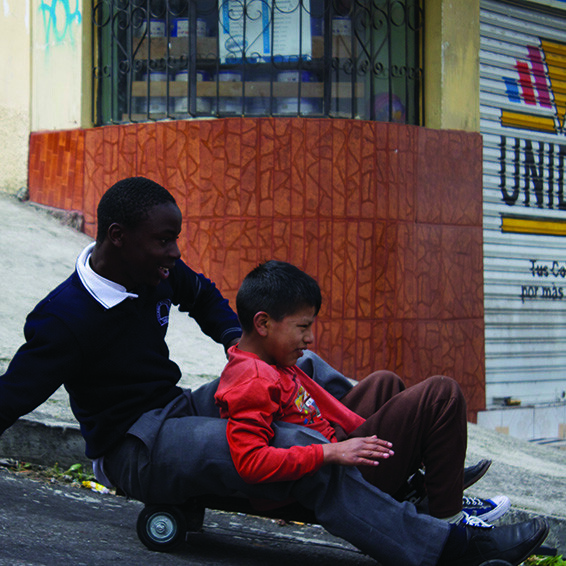 Because working children and adolescents spend most of their time on the street, they are much more vulnerable than non-working children to sexual and physical assaults, gang pressure, temptation to steal, prostitution, drug addiction, and health problems (scabies and lice, malnutrition, parasites, sleep deprivation and environment stresses). Additionally, many working children and adolescents have not received the mental stimulation to be at the same level of intellectual development as their non-working peers. Many of the children do such mundane, repetitive jobs (such as peeling potatoes), that they have not even developed proper motor skills. Maltreatment and physical, sexual, and emotional abuse are prevalent within families. The high incidence of alcoholism magnifies these problems. Although attitudes are changing, many families still put work above education because of the extra costs and lost income. For a family that counts pennies in order to survive, sacrificing part of their annual income for education is not a possibility. Does CENIT allow their children to continue working, and why? In many cases, education is secondary to work. For this reason, many parents will not even discuss education with us if it means that their children cannot continue to work. We believe that it is better that the child work part-time and also go to school, than not study at all. As a result of the participation of the children and adolescents in our programs, there is a decrease in the amount of hours each child and adolescent works.